Located in Bangalore, Holiday Village offers highly personalised service to make your wedding and pre-wedding days one of the most memorable, special and stunning occasions in your life. Whether you are looking to host an intimate or a grand, lavish affair, you will find their services truly affordable but outstanding and of the greatest quality. They take special pride in in their ability to create unique wedding experiences, by adding their own customised touches. 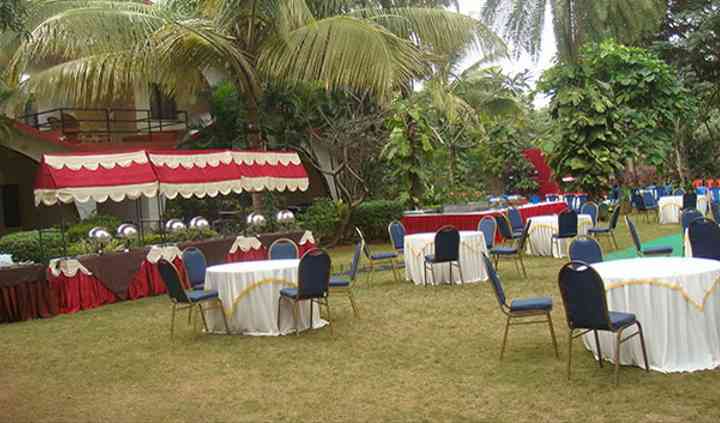 They offer capacious and beautiful halls along with a lush green lawn, centralized A/C filled with mesmerizing decor. 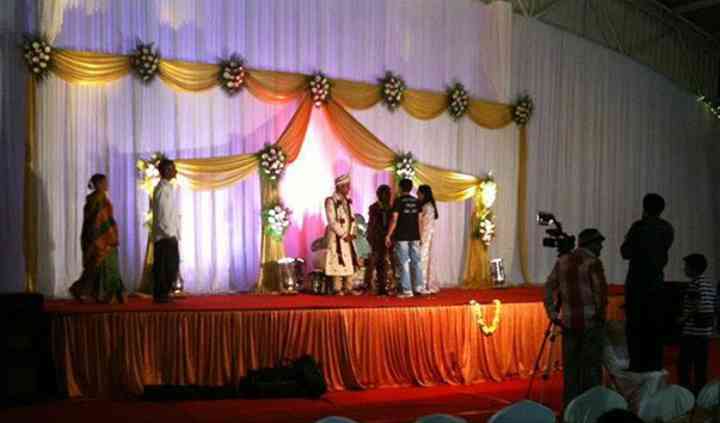 The venue space can each accommodate up to a maximum of 1000 people. They also have valet parking and also have wonderful facilities to provide all kinds of services you need at your wedding day. From basic lighting facility to electricity and power backup to an ample amount of furniture for both catering and seating to providing valet services with a provision of accommodating multiple number of cars, this venue will cater to one and all. 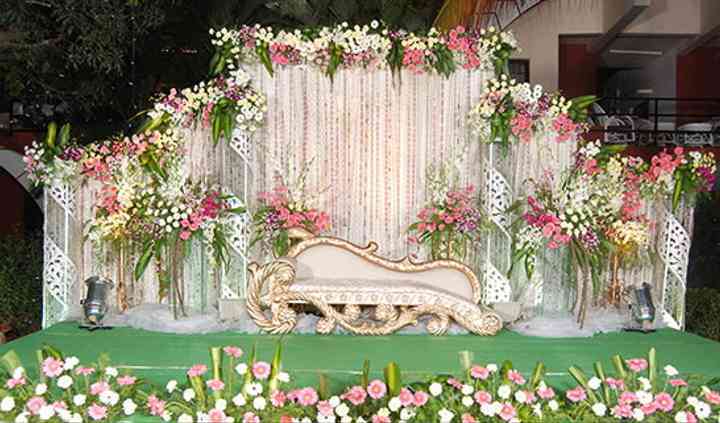 From designing a beautiful stage for your mandap and a reception that is sure to be the envy of all your guests to decorating the venue with exotic flower displays, there is nothing that they will not do for you. 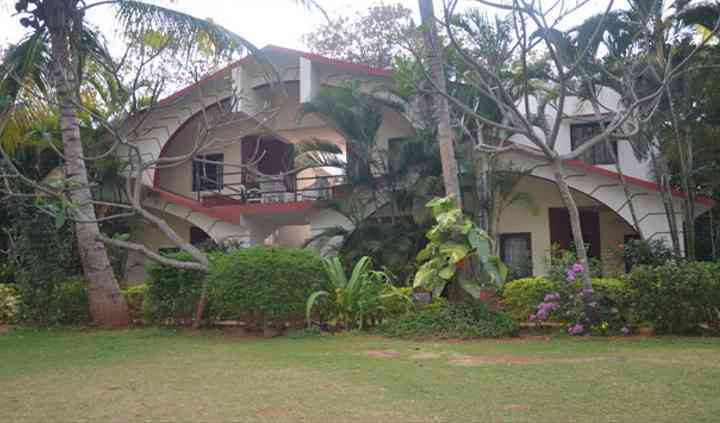 They also provide a team of trained hotel management staff for best service. This venue has an alcohol policy as well. It is a service-based policy which permits you to arrange own alcohol and pay for license, bartending and corkage charges.